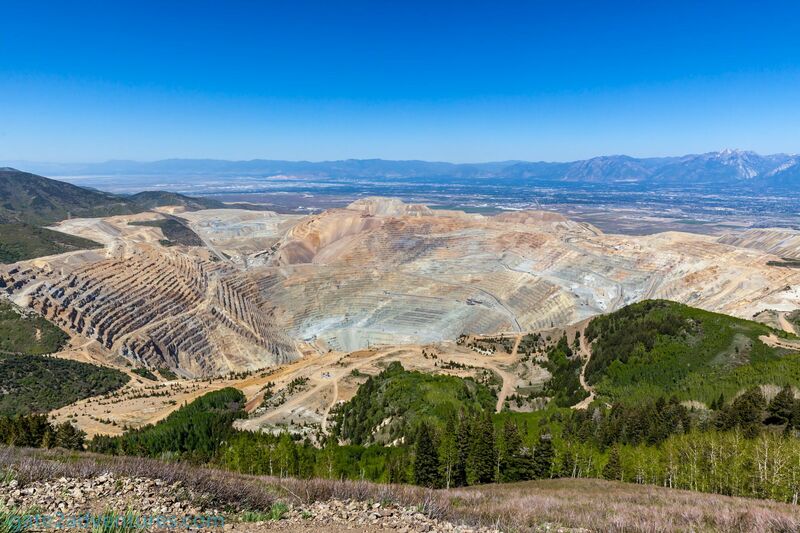 The Bingham Canyon Copper Mine, more commonly known as Kennecott Copper Mine among locals, is located about 1.5 hours southwest of Downtown Salt Lake City. 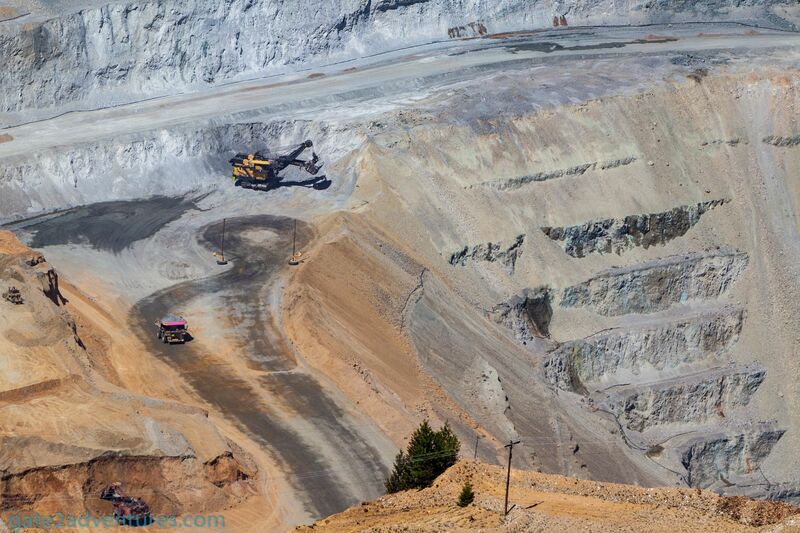 It is an open-pit mining excavation and the world’s largest man-made excavation on the planet. 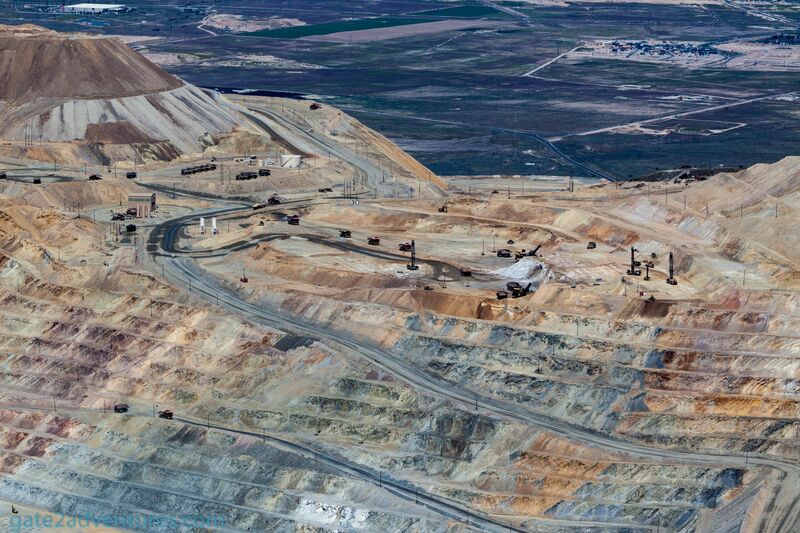 The mine is owned by Rio-Tinto a British-Australian multinational corporation. Already this fact should be worth the drive to get to the overlook and have a look at the mining operation. 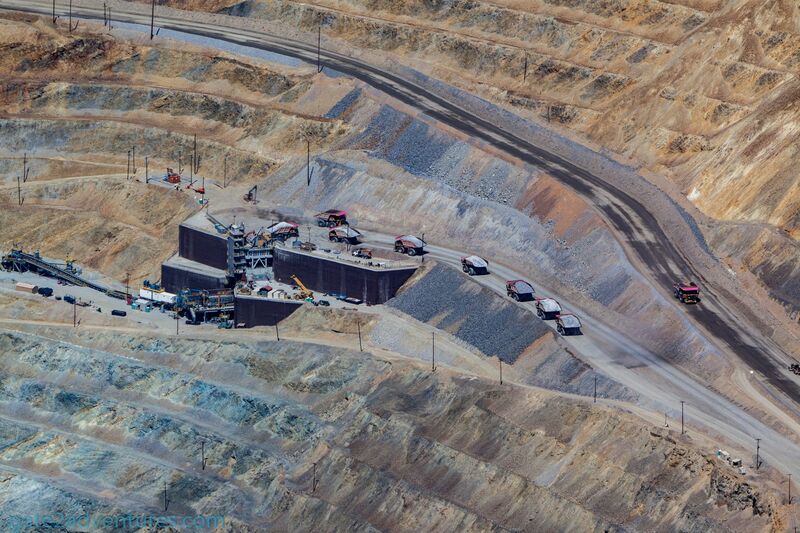 You can see 240 to 320 tons capacity haulage trucks deliver copper ore to the in-pit crusher. Watch the trucks getting loaded by giant excavators which can load the trucks in almost no time. 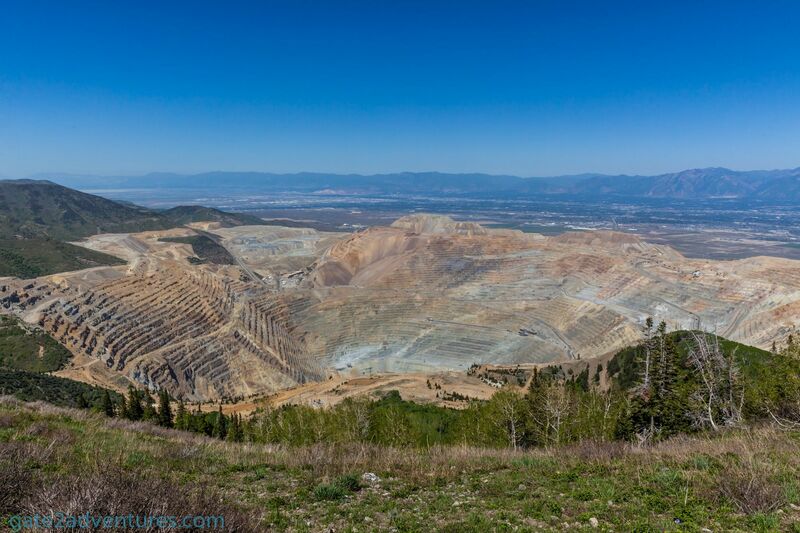 The Overlook point has great views of the whole mining operation of the whole pit. There are two ways to get up to the overlook point. 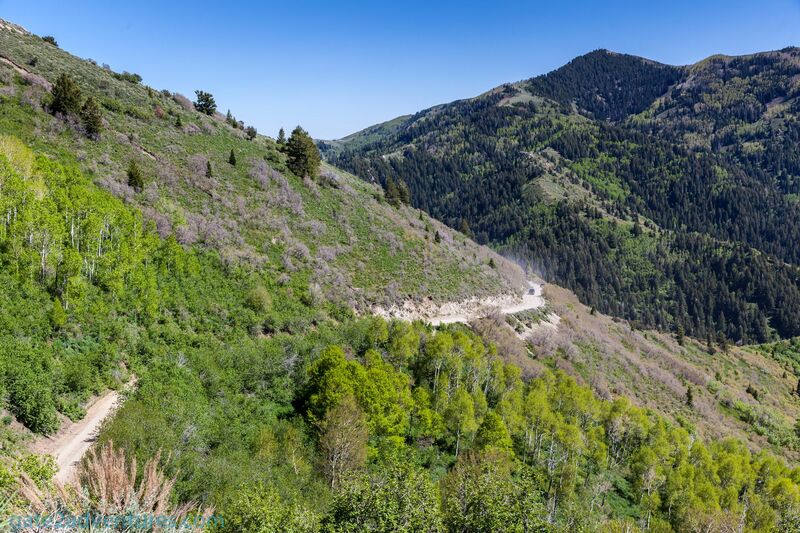 The fastest route from Downtown Salt Lake City, according to Google Maps, is taking the Middle Canyon Road from Tooele up to the lookout. 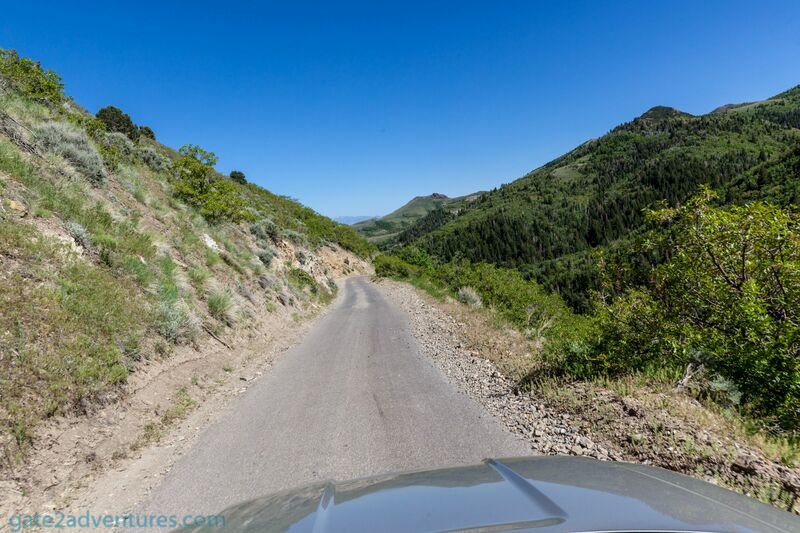 The last four miles will be on an unpaved road but you can make it there with a regular compact car and no all-wheel drive is necessary when you go during a nice day. I had many small cars taking the road up and down during my visit there. Just drive carefully and you will be fine. 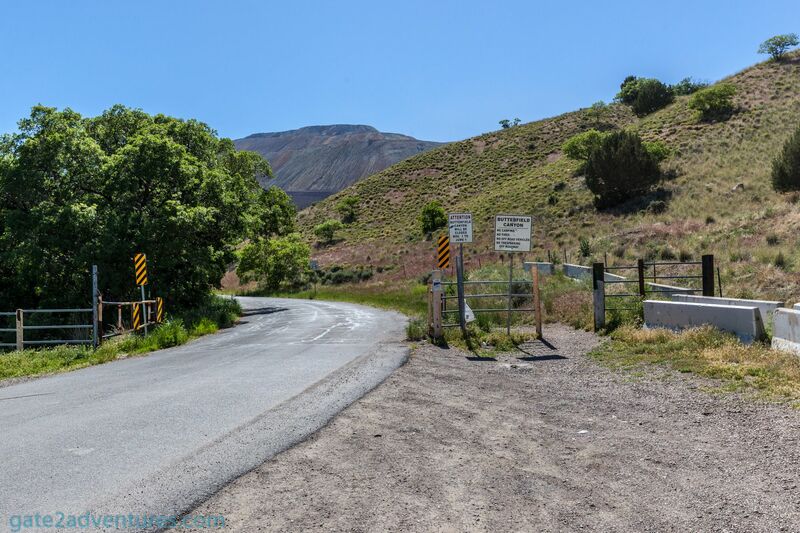 The second route to get to the top would be approaching from Butterfield Canyon Road on the east side of the mountain. 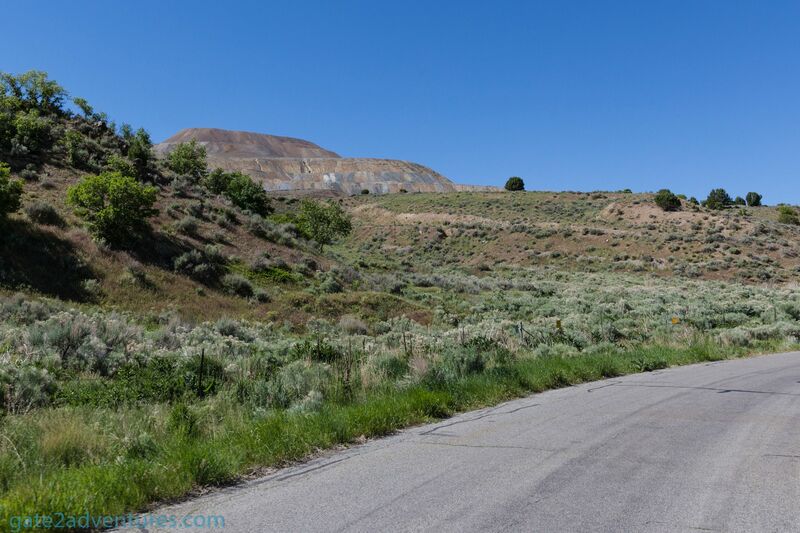 This road will offer more views from the mine along the way, but not as spectacular as on the top. 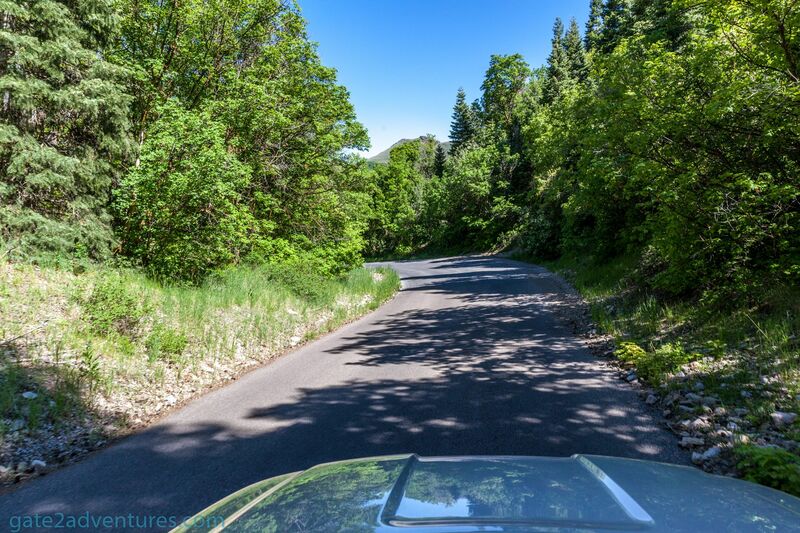 This road is paved all the way up to the Butterfield Peaks Trailhead, where the road will intersect with the Middle Canyon Road. 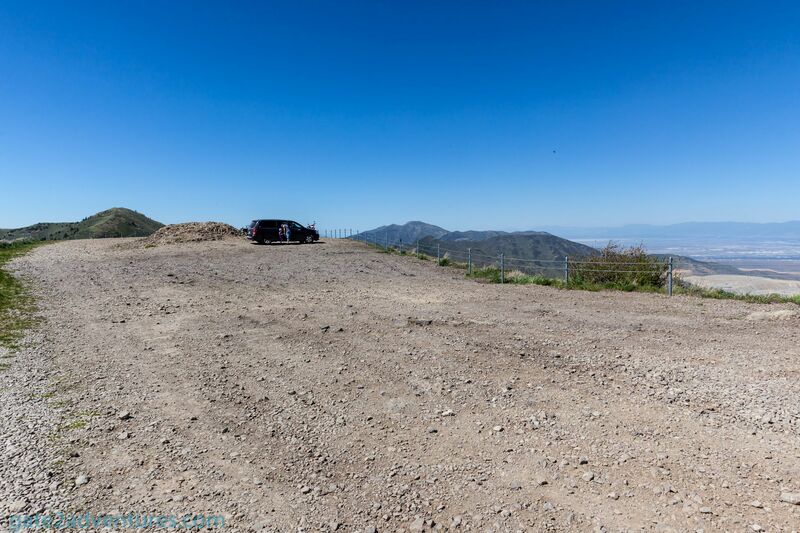 From here you have to take the last 2.5 miles to the top on an unpaved road. As mentioned before, you shouldn’t have any trouble driving up there with a regular car and without all-wheel drive. Be careful while driving up as there are sharp turns and other cars or bikers sometimes shoot up or down the road. There are many blind spots on the way, so be extra careful there and take your time. 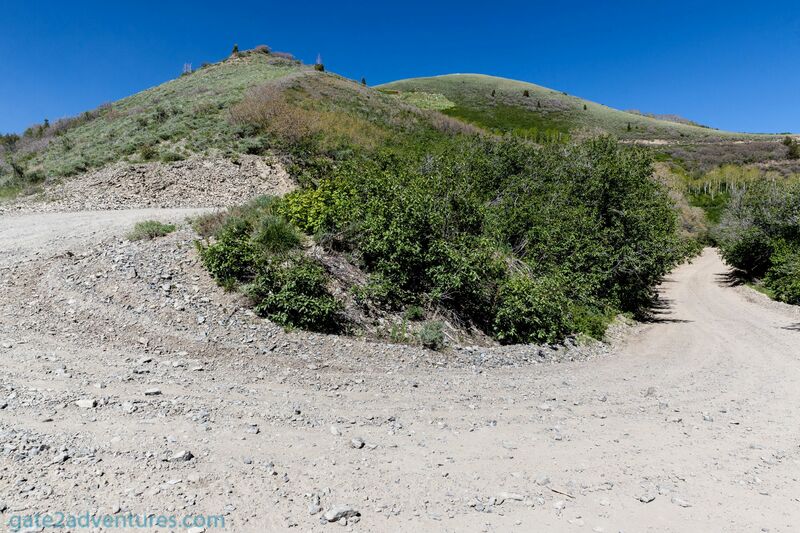 The pictures below were taken on my way down from the top using Butterfield Canyon Road. At the top make sure you park out of the way and watch for pedestrians. Please be a role model to your kids and don’t throw stones down from the mountain. A saw a dad throwing stones down the canyon and telling his son, that it is ok because the workers wear hardhats. The lookout point is probably far enough away that you can’t throw stones far enough. However, if a stone hits you on the head from that hight, even if it’s a small one, it makes a pretty good impact on a hard hat. That far out, I even doubt that the wear hard hats. Please, don’t throw stones or anything down. Also take all your trash back with you, as I saw some beer cans up here. Worse would be glass bottles and people driving over it and getting a flat tire. It’s not the best spot to get a flat tire. There are cellphone and internet reception up on top at the lookout point, however, on your way you will most likely have no signal. Bring your binoculars to get a better look at the mining operation. There used to be a visitor center at the mine itself, which gave you more great views of the mining operation. After a big landslide in April 2013, which triggered 16 small earthquakes, the visitor center got closed and remains closed until further notice. 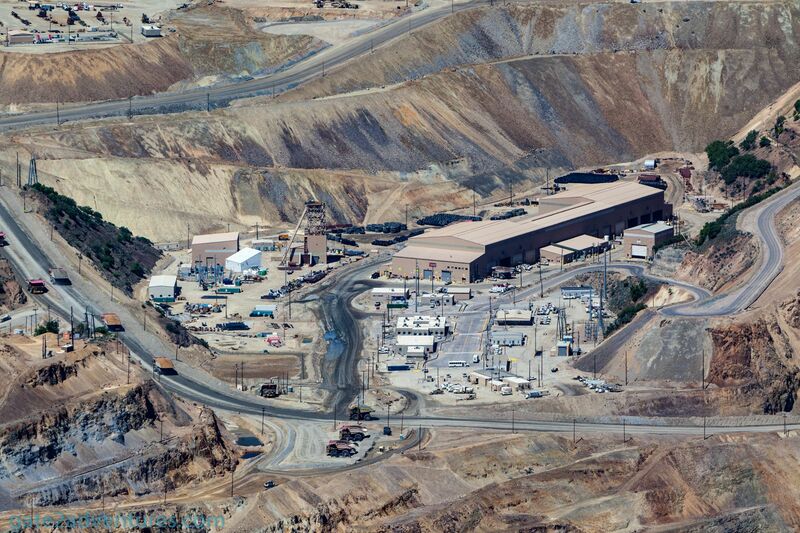 More photos of the landslide can be found on the Rio Tinto Kennecott Facebook Page. There is now a virtual visitor center on their website. produces 25% of the country’s copper needs. 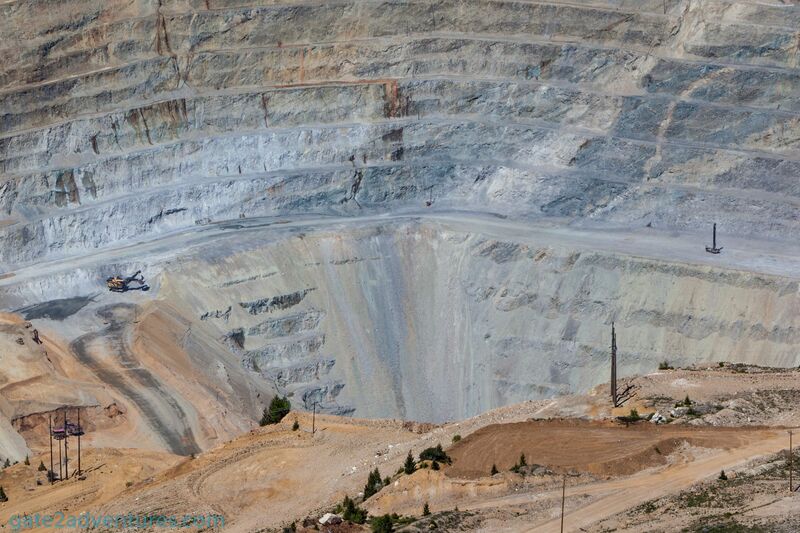 has produced more copper than any mine in history – about 18.1 million tons. operates 24 hours a day and 365 days a year. There are two ways to get to the lookout point. 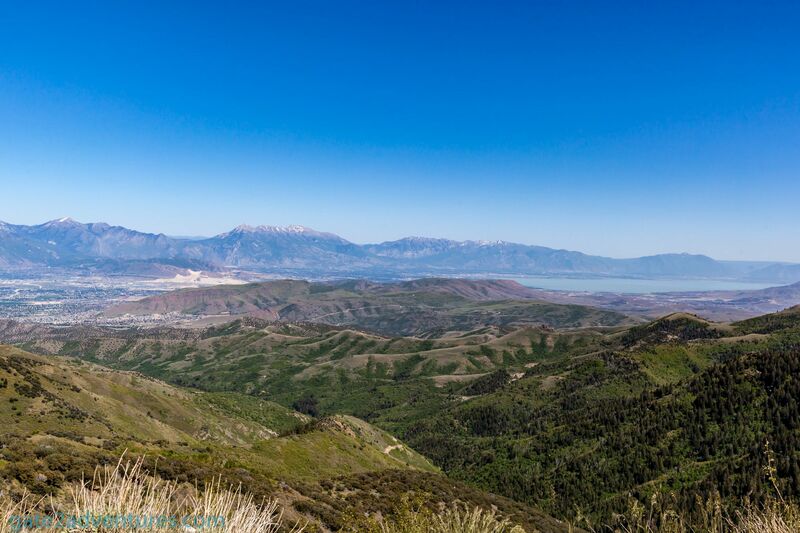 Follow Middle Canyon Road from Tooele all the way up to the lookout point. Paved road except for the last 4 miles. 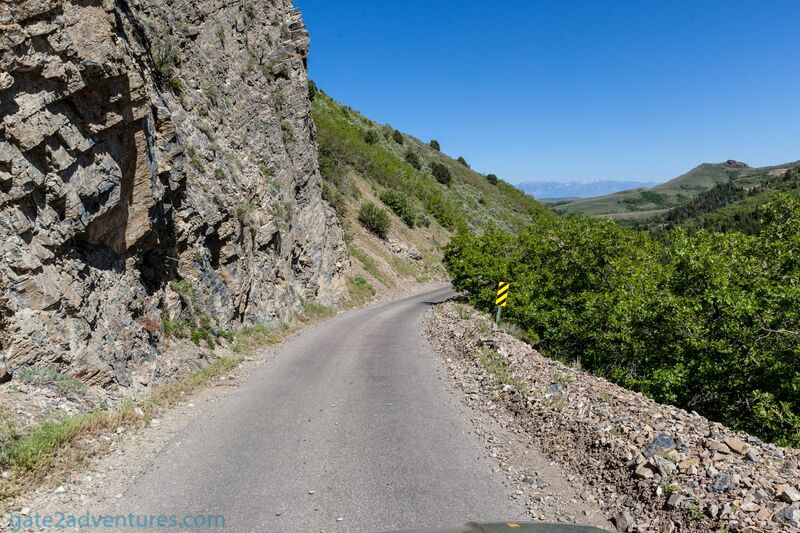 Take the Butterfield Canyon exit off Bacchus Highway / Herriman Highway and follow the road up to the lookout point. Paved road except for the last 2.5 miles. The lookout point can be reached with compact cars. No all-wheel drive vehicle required.